Offer exclusive to Newfoundland resident AIR MILES® Collectors who register their Go-Bus card online and register to earn AIR MILES® reward miles starting October 15, 2014. To reap the GOBUS card rewards you must register your Go-Bus card first. Earn AIR MILES® reward miles and redeem them towards your everyday purchases at Reward Partners or for over 1,200 Dream rewards. Receive an annual statement showing transit purchases for tax purposes. Don't delay, register your Go-Bus card today. It only takes a minute. The serial number on your Go-Bus card must not be altered in any way. Do not deface or alter the appearance of your Go-Bus card. When you are not using your Go-Bus card, it cannot be transferred to, or used by, another person. There are no refunds or replacements for unregistered Go-Bus cards under any circumstances. Registered Go-Bus card holders can have a lost or stolen pass replaced for a $5.00 replacement fee. Once the replacement fee has been paid, we will then load the replacement card with the balance that was remaining on the original card at the time the card was reported lost or stolen. By registering your Go-Bus card and providing your email address, you are agreeing that we can send you service information, customer news, AIR MILES® reward miles offers, and other topics of correspondence which may be of interest to you. You will have the opportunity to opt out or unsubscribe from these messages at any time by clicking the unsubscribe link contained within the message or by managing your preferences from within your Go-Bus card account. GoBus Accessible Transit is the St. John's area para-transit system. It operates within the municipalities of St. Johns and Mount Pearl only. The GoBus mandate is to provide persons with disabilities and those who are unable to access conventional transit, equal access to a transportation system so as to enhance their participation in all aspects of community life. The goal is to ensure that accessible, affordable transportation is provided in a dignified and respectful manner. Are you a registered GoBus customer looking to book a ride? Click here to book online or call 368-8887. Reach boarding locations, ride and disembark from the vehicles even if they are fully accessible. Individuals considered permanent users will not have to provide any further eligibility information following initial application. Winter weather conditions. Any person can apply for and be granted provisional GoBus eligibility, in the winter months from November 1 to March 31, as determined by Accessible Transit Services, if the individual has specific mobility issues or has temperature sensitivities. Visitors to the City of St. John's or the City of Mount Pearl who are valid Accessible Transit users from other jurisdictions. Friday 7 a.m. - 2 a.m.
GoBus Accessible Transit stops operating at the times stated above and, therefore, the latest available time for booking a ride is 30 minutes before the GoBus Accessible Transit closes for the evening. These hours of operation are subject to change on certain holidays or in adverse weather conditions. Any changes to hours of operation will be posted in all GoBus vehicles and on this website. GoBus Accessible Transit is a pay as you go system. Fares can be paid using cash or a Go-Card. Our Go-Card is an interactive smart card that we use to handle all of our fare media, except for cash fares. The Go-Card is the same size as a credit card. When a customer boards a bus, simply hold the card in front of the handheld reader to pay the fare. The reader recognizes what type of fare or pass is on the card and approves or denies the ride electronically. Because it's a Go-Card, you keep using the same card, week after week, month after month. You can add more money to the card at any of our sales outlets. In addition, you can add value to your card online at GoBus.info. Go-Cards can be purchased and reloaded at specific sales outlets or online. There is a one- time $5 fee on new Go-Card activations. Please be sure to register your card to guard against loss. More information about how to register your card can be found on the back of the Go-Card. Smart Savings With a 10-Ride Card, you're buying 9 rides and getting the 10th ride free. Restricted to students registered in full-time post-secondary studies. Student identification is required. Monthly passes are usually available for purchase at our sales outlets by the 20th of the month. For example, a May pass will be available for purchase by April 20. Earn AIR MILES® reward miles by riding with your Go- Card. Now little trips can lead to big ones. Register and ride with a Go-Card and earn 1 AIR MILES reward mile for every two trips taken on GoBus. Details at www.gobus.info/airmiles. There are two separate divisions of the provincial Department of Advanced Education and Skills that provide transportation costs to users of GoBus. This program provides transportation costs for medical transportation only. In the greater St. John's area clients must provide verification of at least eight (8) medically related trips per month before they are deemed eligible for this funding. All trips must be pre-authorized and approval is granted for travel by the most economical means available. an estimate of the monthly cost of travel is added up front to the client's recurring pay-cheque and the client uses these funds to pay for the service. This program provides transportation costs for clients attending education or employment programs. The costs are pre-approved as part of the client's action plan (Clients receive transportation money on their recurring paycheque and are responsible for paying for the service from these funds. All bookings must be made with the GoBus dispatcher and not with drivers. To book a trip with GoBus by telephone at (709) 368-8887 or TTY at (709) 368-1620 please have the information listed previously ready for the GoBus dispatchers, who will take your information and confirm your trip. Any other pertinent information you think would be important for GoBus to be aware of. Please note that you will receive confirmation of your booking within 24 hours via e-mail or telephone. To book a trip online, please click here to visit the web portal. Passenger Portal also lets you send notice directly to GoBus dispatch when you are ready for your will-call pick up. Simply log into Passenger Portal and click/tap the I'm Ready button. You also have the option to allow an agency, organization, family member or friend book trips on your behalf. This "delegate" feature can be setup by contacting Accessible Transit Services. First time users will need to contact Accessible Transit Services to get their User ID number and password. Click here to book a trip online using Passenger Portal. For more information, contact Accessible Transit Services at (709) 570-2131 or by email at gobus@metrobus.com. Feedback can also be submitted online by clicking here and submitting the online feedback form. 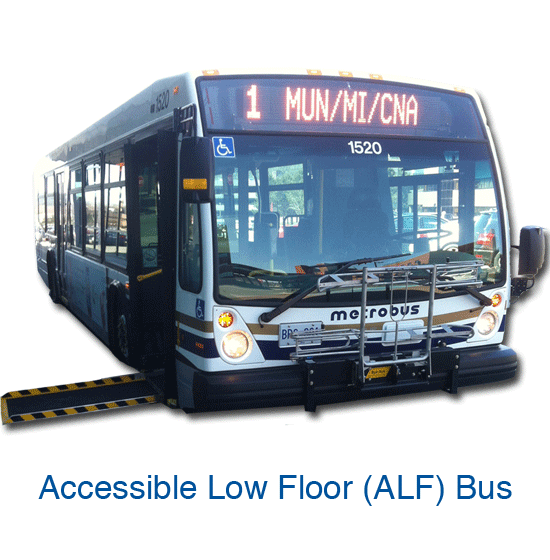 Click here to download the GoBus Accessible Transit User Handbook. Every passenger of GoBus Accessible Transit is subject to the operating guidelines outlined in this handbook. Changes to these guidelines, which may be enacted by GoBus Accessible Transit and not contained herein, will be made known to GoBus Accessible Transit users in a timely fashion and incorporated into this handbook as resources allow. Go-Bus Cards are accepted on board every Metrobus.